Best Driving Range in Sydney! Thornleigh Golf Centre is one of the best driving ranges in Sydney with state of the art equipment and fully covered hitting bays, 20 of them including auto-tee up technology. Ideally when you start your practice session, after loosening up and stretching for a short period, you should commence with a lofted club, working on a half to three quarter swing for a short while before moving to a full swing. Always aim at one of our target greens. Once you are striking the ball cleanly and accurately move to a less lofted club and work your way through your clubs up to your driver. Remember that in a round you will only use a driver around 13 to 14 times. You will use your mid to lower loft clubs many more times than this, so make sure you allocate your balls in a similar proportion. Our pro’s are always on the range so don’t hesitate to ask for some suggestions around an appropriate practice routine. At Thornleigh Golf Centre we use Srixon range balls exclusively. Our synthetically turfed landing area ensures the quality of all our balls are maintained providing a consistent ball strike experience and ball flight. All our balls are washed as they return to our hopper room via our water assisted underground ball return network. 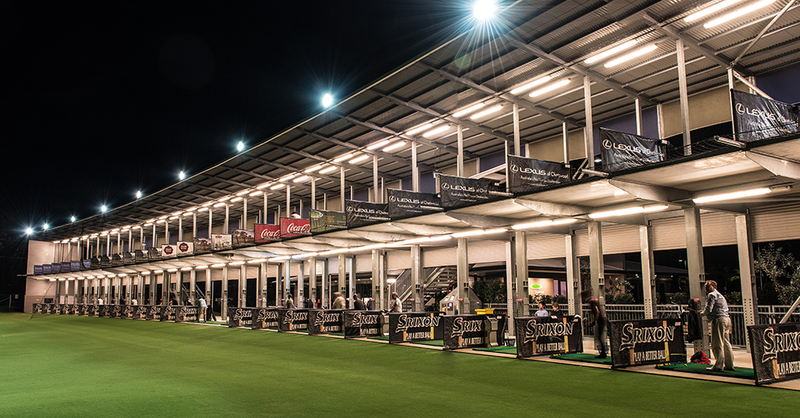 Click here to contact us about booking your next driving range package – always a great cheap golf option in Sydney!